As I sit here trying to sum up what Berlin is like in a few sentences, it leaves me seriously stumped. I’ve never been to any place like it and can’t fully put my finger on why. 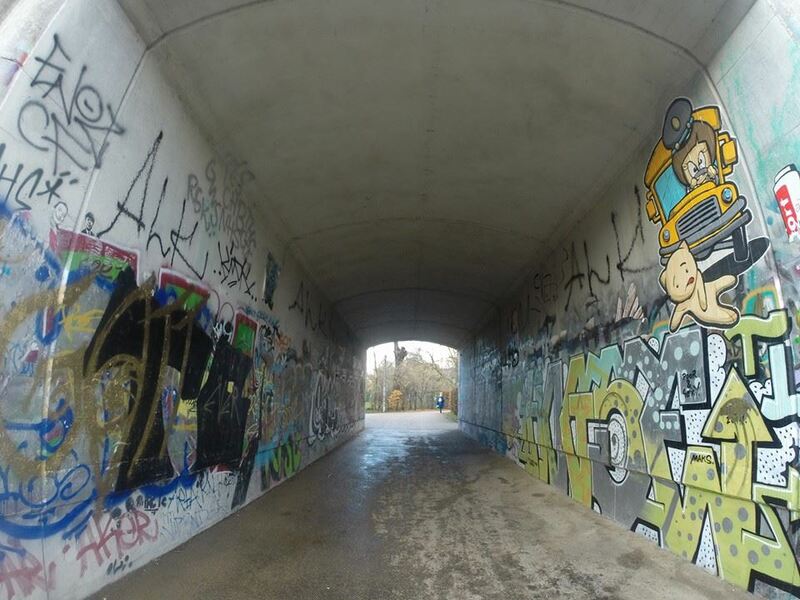 It’s rich in history, beautiful in street art and ugly in greyness. It’s party scene is like no other and you could literally say, dress or do whatever you liked and no one would bat an eyelid- it’s the city where anything goes. You will find odd things around the city- like a giant sized wooden chair! You can fly to Berlin from anywhere in Europe. If you’re in a neighbouring country have a look at the trains or buses, they can be very cheap and not that much longer. 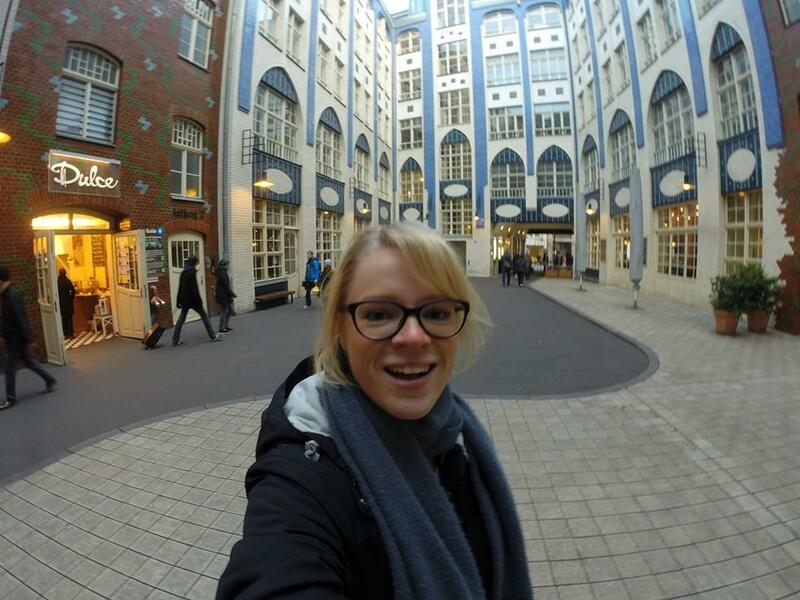 I stayed in the best hostel I’ve ever stayed in Berlin! St Christophers Inn, which is usually a pretty average chain, was absolutely luxurious! I booked a 4 bed female dorm for 12 Euro and between my room and another female dorm we shared a huge fully equipped kitchen, lounge and dining area, TV and hammock as well as two large bathrooms with baths! I walked in and thought I’d actually walked into the wrong room. There is a decent bar downstairs and they run all sorts of tours and pub crawls. The big space made it very easy to meet my dorm roomies and I had a great time there- there’s not many hostels that you voluntarily stay in and hang out but this was definitely one! Berlin has so much to do you could spend two weeks there and find new things to see, but here are the things I saw in 4 days. The city is geographically large compared to other European cities so I would separate thing to see and do into areas to avoid spending much time travelling between them. This is a small booth in the center of the road which marks the old border of entrance. Now there are several soldiers standing there to take photos with and a large picture of an American soldier above. Around this area there is always a vast amount of historical information on pop up street museums which can give you a great initial understanding of the time period. 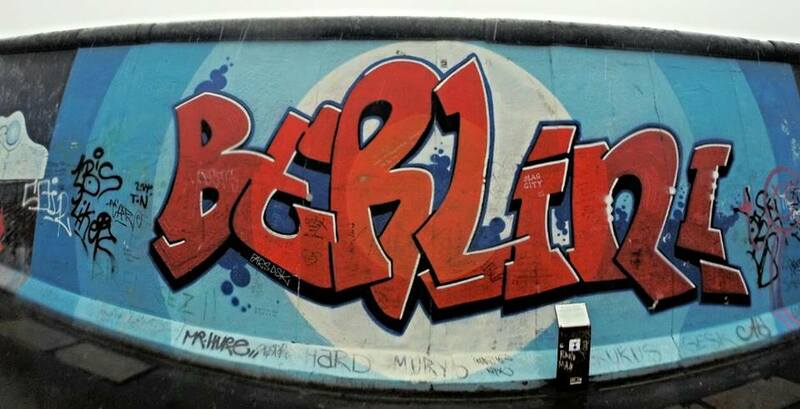 This is one of the most iconic things to see while in Berlin. 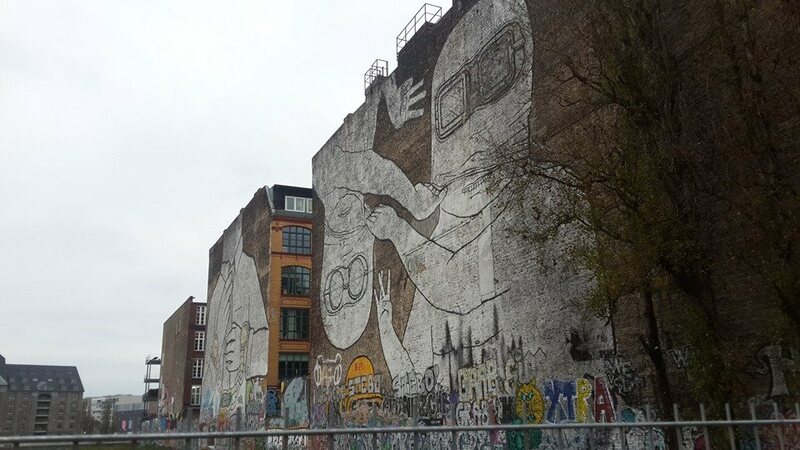 You can walk along the remaining Berlin Wall for about 30 minutes and admire the assortment of political and beautiful artwork. This is a huge landmark that is spectacular to see at night. It doesn’t take long to admire it but is definitely a must see as it is one of the few monuments remaining after WWII. This is literally an island with 5 interesting museums on it. You can buy a single or all inclusive entrance ticket. If you don’t want to visit the museums, you should still walk along the banks and museum gardens, they are quite spectacular. 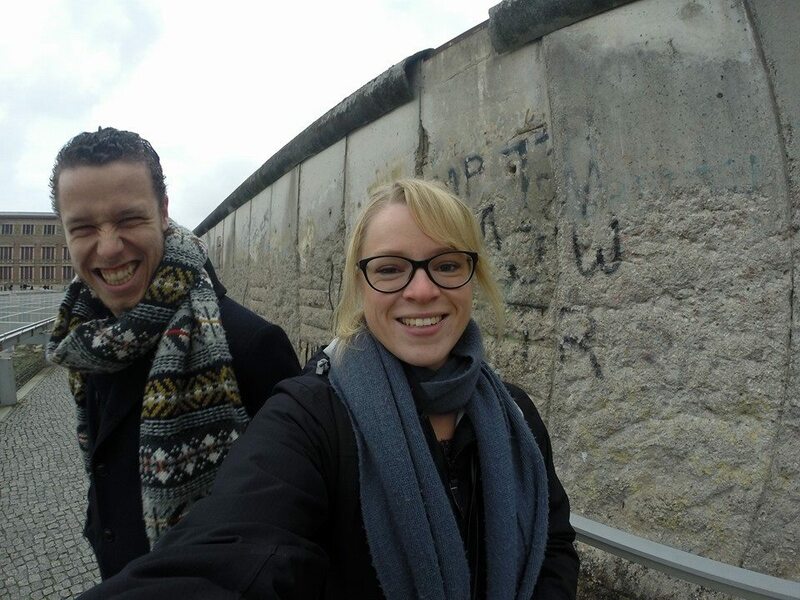 Part of the remains of the Berlin Wall can be found as apart of the Topography of Terror museum. To walk alongside it no entrance fee is required into the museum. 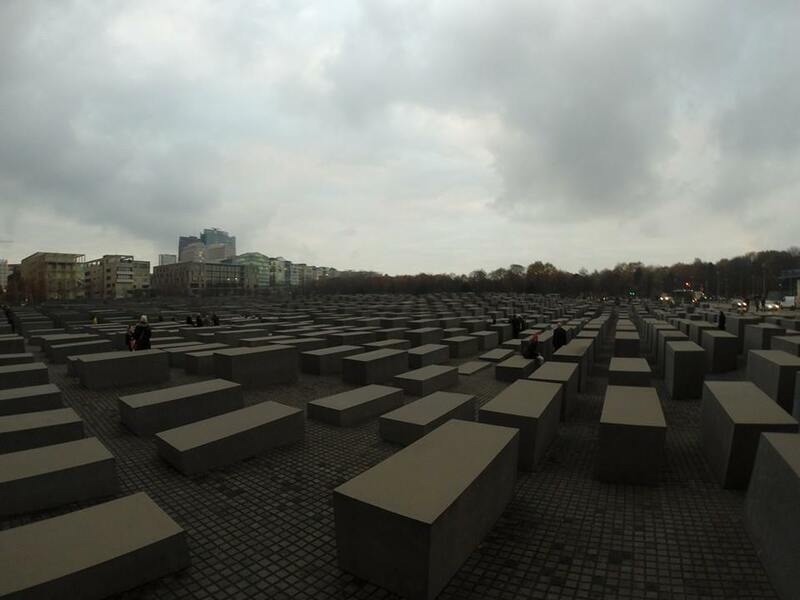 This is a very moving memorial to the Jews murdered in the Holocaust. You can walk all the way through it and its silence is very moving. This is free of entrance and beside the Holocaust memorial. You walk around the interactive rooms and learn intimate details of the families and lives affected by the Holocaust. It is extremely moving and definitely worth visiting. This teal roofed cathedral is beautiful and centrally located. 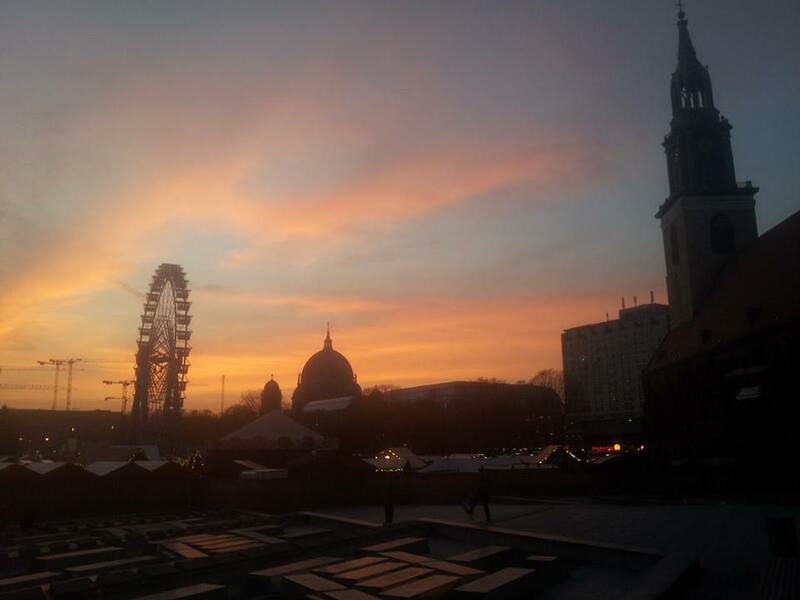 You can view it from almost anywhere in the city and it especially always catches a bright pink sunset from Alexander Platz. Located at 40-41 Rosenthaler Strasse, Die Hackeschen Hoefe is an adorable set of multiple courtyards with many cafes and boutique shops to visit. 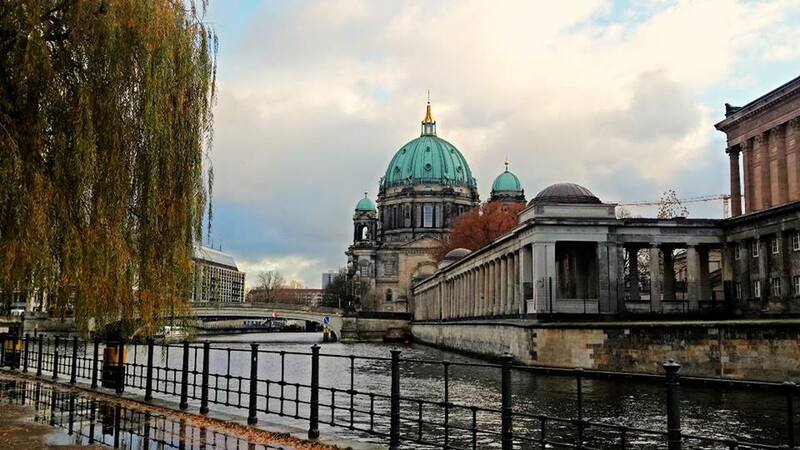 This is how you can really admire the art and take in how magnificent Berlin is. Walking around the streets has a eery beauty about it and every block will be covered in politically inspired artwork. This is what Berlin is famous for; their underground party scene. When I say underground, I mean that you will walk past a boring garage door to hear banging techno and realise it’s actually a secret club. Club Arena on Friday night is Dystopia and is in a warehouse (like a lot of clubs). You will wait in line and don’t go in groups, but when you get in it is AWESOME. There are huge pipes everywhere and it is completely rustic. Drinks are cheap and music is loud and plays all night and day. The most famous club to get into is the Burghein. It is open from Thursday to Monday and you may only get let in if you are with one other person, dressed in predoninately black and not too touristy. But again- totally worth it to get the Berlin club experience. 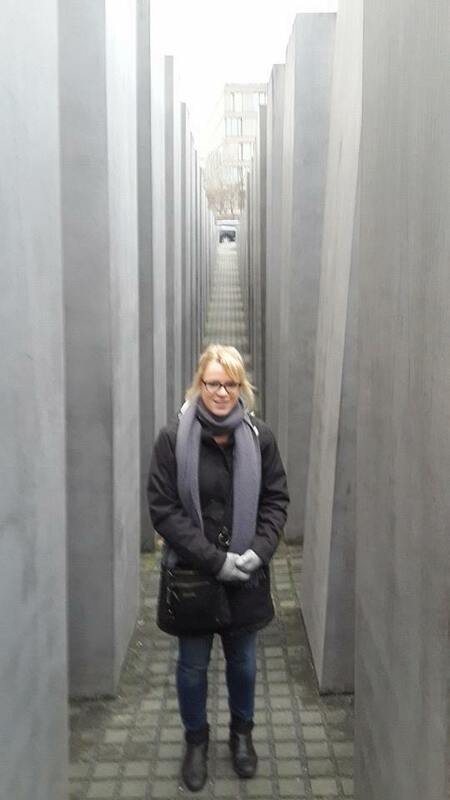 Berlin is huge and if you want to properly sightsee you should have 3 full days. If you want to also go out, give yourslf a lot of recovery time and make it 5 days! 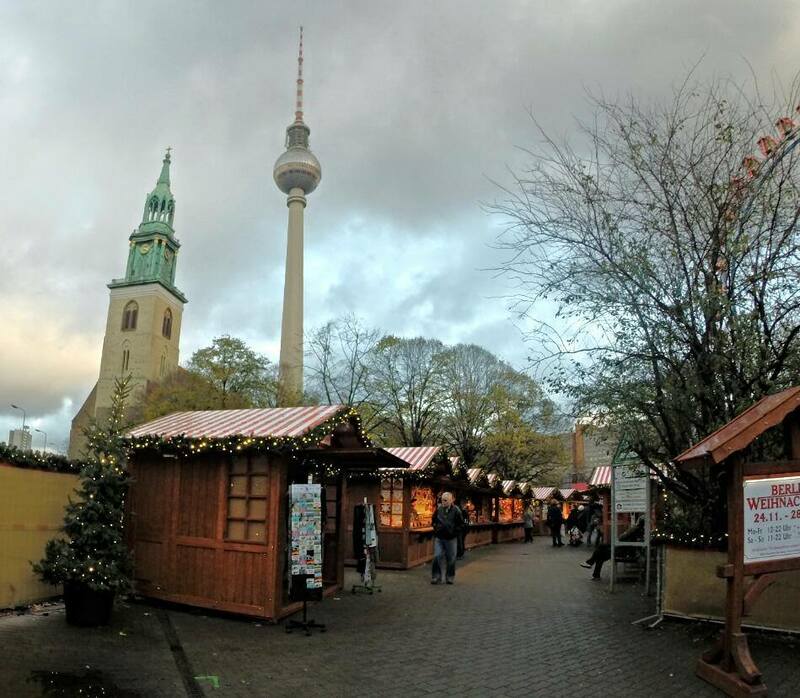 For more information, check out Lonely Planet’s Guide to Germany by clicking below. 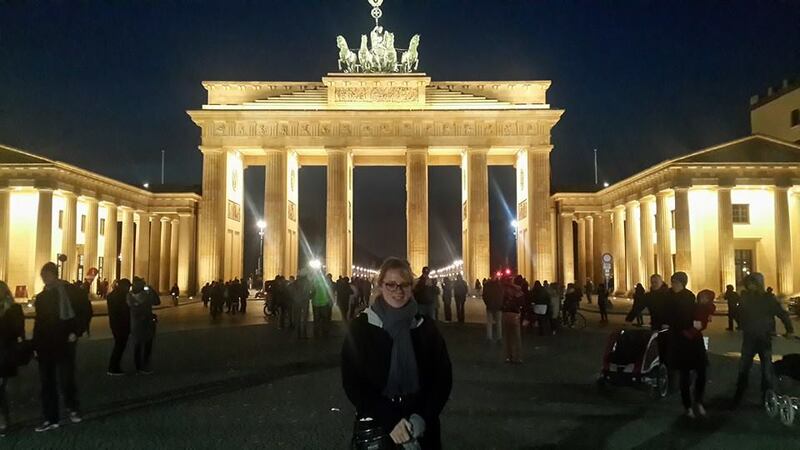 This entry was posted in Germany and tagged Berlin, Berlin wall, Germany, underground nightlife, war history, war museum. Bookmark the permalink.